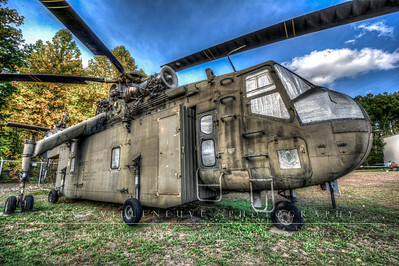 "The S-64 Skycrane is a twin-engined heavy-lift helicopter designed by Sikorsky for the U.S. Army. 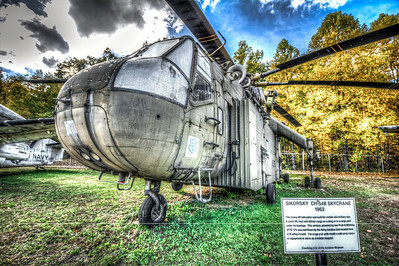 It was first flown in May, 1962 and was an enlarged and upgraded version of Sikorsky's first flying crane, the S-60. The initial "A" version had a 20,000 lb. payload capacity that was increased to 25,000 lbs. with the later "B" version and could lift, haul and deliver cargo on a sling or in a cargo pod under its fuselage. It also had an aft-facing pilot station that gave an unobstructed view of the load being carried and allowed for positive control of the aircraft during precision operations."